Danica’s doctors hope “tumor paint” will be a quality-of-life game-changer, making surgery for brain tumors both safer and more precise. What if we could find better treatments for children with brain and spinal cancer? Discover ways to help patients, families and our relentless search for cures. A year ago, Miguel was fighting for his life. Today, he’s getting back to doing something he loved to do before cancer: driving. 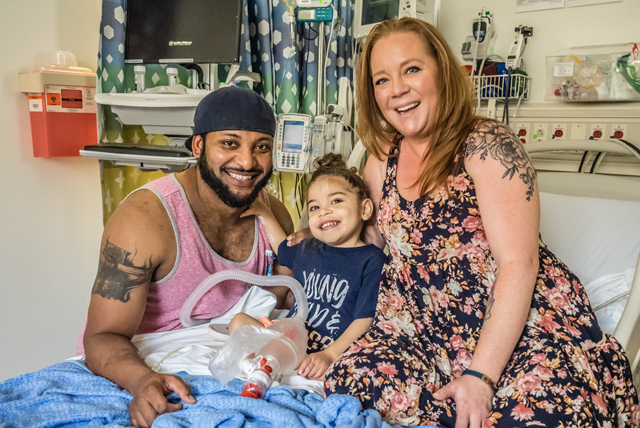 Meet the patients and families who inspire us every day. With your generous support, we can envision a day when we can say yes to hope, care and cure for every child. For minor illnesses and injuries. Same-day appointments available at Bellevue, Everett, Federal Way and Seattle. Open 24 hours, 7 days a week for children up to age 21 in Seattle. If your child's illness or injury is life-threatening, call 911.